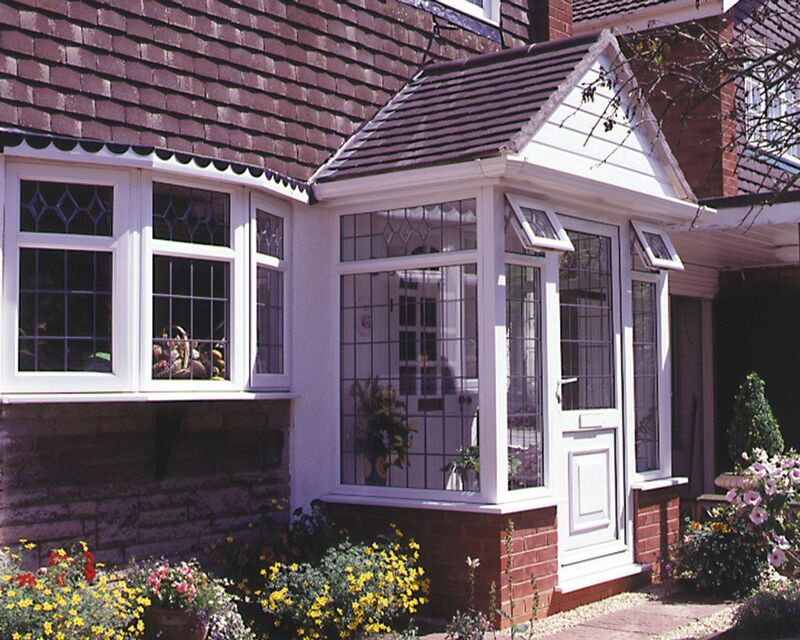 A porch does more than add extra space to your home, it will also increase your home's energy efficiency and add an extra layer of security to your property. A high-quality porch creates an attractive entrance to your home and adds valuable storage space for shoes, coats, umbrellas and other items that you might need in a rush. If you own a mischievous dog, it also means that you can say goodbye to letters and newspapers being torn to shreds each morning. 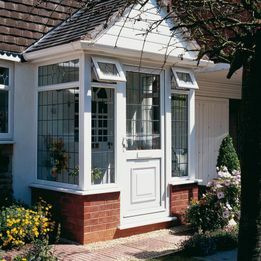 Thanks to it being a miniature extension to the main front door, a well-designed porch will also help to retain heat, which in turn increases your property’s energy efficiency. 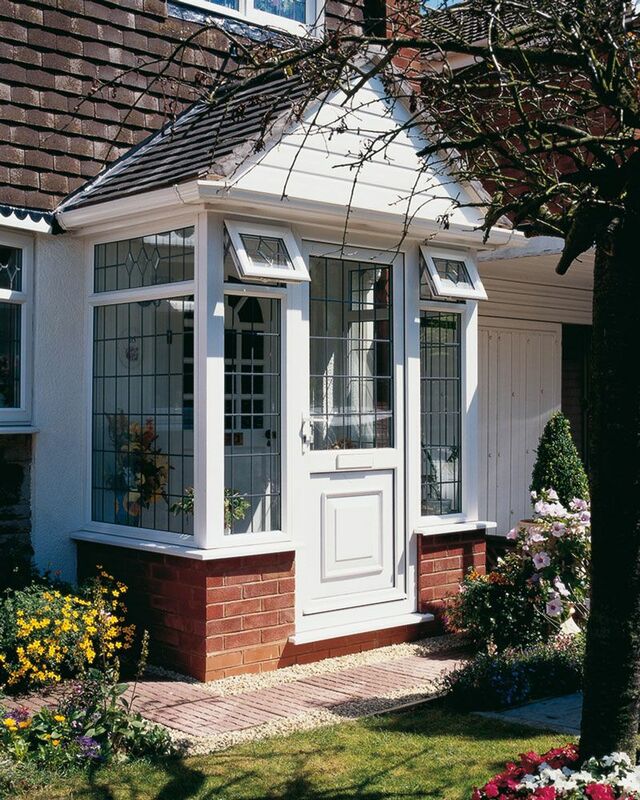 What’s more, thanks to a strong, modern locking system and robust double glazing, you’ll benefit from the peace of mind that comes with increased home security. 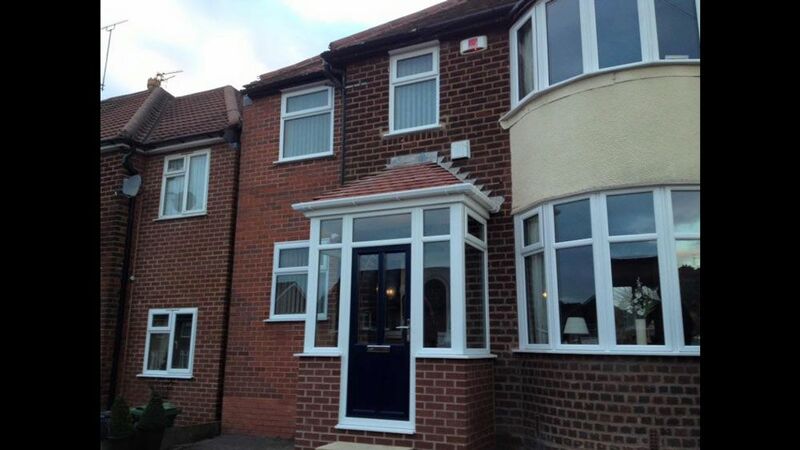 It’s amazing how much a porch can improve the way your household functions on a daily basis, so get in touch for expert advice and we’ll help you to choose the right design that suits your individual requirements. Whether you choose a Lean To, Apex or Flat Roof design, we’ll ensure that it complements the aesthetic of your property perfectly. 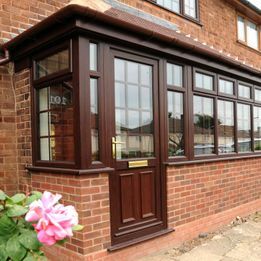 If you would like to discuss your needs and want to find the ideal Porch solution for your home, then please ensure you get in touch today. A Lean To Roof Design Porch with windows has a roof that slopes away from the outer wall of the building. Choosing a lean to porch has numerous long term benefits, it's simple, clean lined design suits both modern and period style properties. 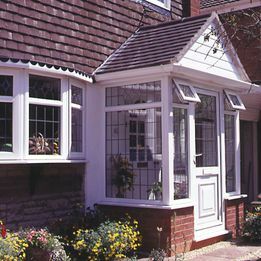 An Apex Roof Design Porch with windows has a roof angled to a peak. Its design can modernise the look of any home, the idea is not to take away from the original style of your home but to enhance it's features. 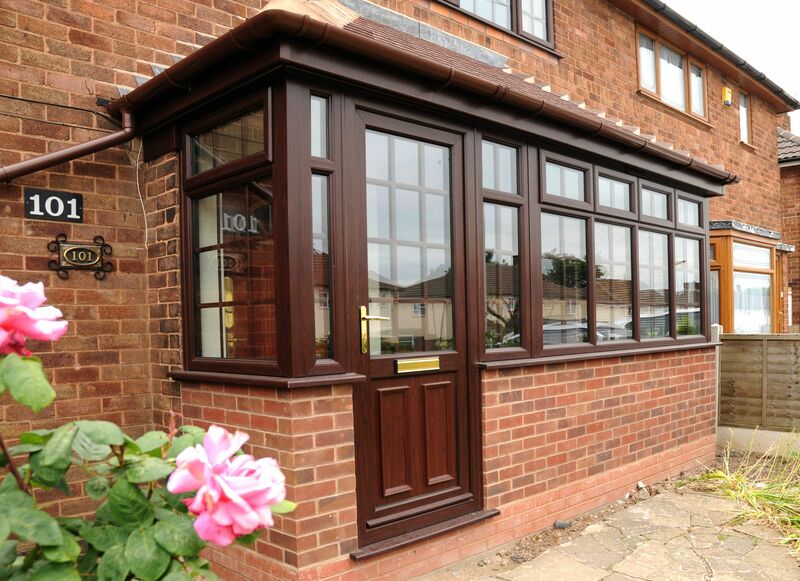 A Flat Roof Design Porch is wonderfully self-explanatory, as the roof above the internal space is totally flat. It’s a cost-effective option that also works particularly well when there’s a deep window or any other object located above the front door. 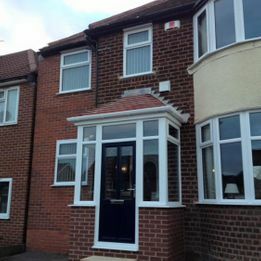 This type of porch design is simple yet elegant, making it a popular choice for all styles of homes.